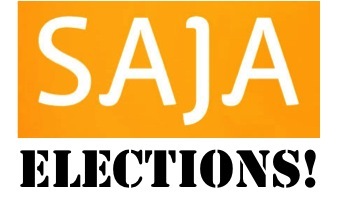 SAJA members are now invited to vote online to fill four (4) open positions on the board. Please read each candidates' statement and vote for the 4 candidates you would like to see on the 2016 SAJA Board. In person voting will occur at the annual members meeting/holiday party at Junoon Restaurant on December 8th in NYC. Space is limited so purchase a ticket TODAY! For SAJA's annual membership and financial report, please see here. I’m Sovy Azhath and I'm a Producer/Writer for CNN HLN. I’m asking for your vote once again as I’m looking to serve my 4th term on the board. The past 6 years on the board, I served: 2010 as events coordinator; 2011 as Secretary; 2012 as VP; 2013 as the national President; and the last two years as a senior advisor. My passion for SAJA is to get more members connected to major media companies and help their career growth. I’ve hosted numerous *exclusive* newsroom tours with CBS News, Dow Jones/WSJ, ABC News, NY Times, Huffington Post, CNN and Bloomberg to name a few. If re-elected, I would like to continue to host more of these newsroom tours and add more companies to the mix. I’ve also hosted numerous mixers, panels, workshops, mentoring sessions not only at our hub in NYC but also in Atlanta, Boston, Chicago, Las Vegas, Seattle, San Francisco, and Washington, D.C. With your vote, I would like to continue to host these events in other cities to help connect SAJA members from around the country. In the past, I helped hosted major events/galas where members can connect with notable speakers such as ABC’s David Muir, ESPN's Kevin Negandhi, Al Jazeera’s Ali Velshi, 2014 Miss America winner Nina Davuluri, and award winning reporter Soledad O'Brien. I also volunteered as SAJA reporter and interviewed Aishwarya Rai at the UN. I currently work at NBC as a News Associate. I began my journalism career in Texas at NBC-KXAS as an intern working my way up to a writer for the evening newscasts. In addition, I was a staff writer for The Dallas Morning News. Recently, I moved to New York and was in search of a community. I wanted to surround myself with like-minded individuals who created positive change for South Asians and others. I found that community through SAJA which is why I am excited to run for a board member position. Since joining SAJA, I have attended many events and recognize how valuable they are for its members. I believe that similar events should take place outside of New York. One initiative I would like to bring to the SAJA is increasing our visibility in other cities. As a member of AAJA, I would use my resources with them to partner with SAJA. In addition, if elected as a board member, I will recruit new members and involve them in our organization. To do this, I will reach out and partner with neighboring universities to create a mentoring system. I hope to be elected to the board and continue to advocate for a progressive, professional, and community-focused SAJA. I will bring my strong work ethic along with a deeply felt passion and enthusiasm to the board. I believe my personal values are wholly aligned with SAJA’s mission of promoting accurate coverage of South Asia and the diaspora. I first joined SAJA as a student at the CUNY Graduate School of Journalism back in 2007 (and became a frequent contributor the the SAJAforum blog that same year.) Since then I've worked at a variety of broadcast and online media outlets throughout New York City (including CNN, NY1 and Metro New York.) At each of my jobs, I've tried to increase the coverage of South Asian and Asian American issues and have found SAJA members to be an invaluable resource in terms of seeking out potential sources and story ideas. As someone who has spent a good portion of the last decade blogging and writing about South Asian American issues, I know how important it is to tell these stories. I hope that I can help SAJA help others get the resources they need to tell them. My name is Geetika Rudra and it is an honor to run for the SAJA board. I am a domain expert at Dataminr, where we have partnered with Twitter to build a real-time breaking news alert product. My first book on South Asian immigration and civil rights in America will be published by Rutgers Press. At Columbia University's School of Journalism I started String Machine, a group of journalists and developers that build tools to help reporters. As a digital reporter at ABC News I covered Texas’ prison system in a four-part series that was the network’s nomination for an SPJ Delta Sigma Chi award. My unique career has been an exercise in bridging the gap between technology and journalism. I am constantly learning how to find a common language between engineers and reporters, how to apply design-thinking methods to newsroom management, and how reporters can use computer science tools to discover and tell great stories. As a SAJA board member, I would like to supplement our existing programs and create a free podcast series that will help our members build these three skills. The lack of diversity in newsrooms has been a decades-long issue that is compounded by the entrance of notoriously homogenous technology companies. As these companies make their foray into our industry and look to hire journalists with hybrid skill-sets, I passionately believe SAJA can lead the creation of a qualified applicant pool that is representative of the public we all serve. I will be honored to serve on the board of SAJA. Few years ago I was an active member and volunteer of SAJA. In that capacity I have had several interactions with key SAJA people like Sree Sreenivasan, Raju Narisetti, John Laxmi etc. I am a respected thought leader in the field of leadership development and was VP executive development at Thomson Reuters for seven years I can offer leadership development ideas / programs for journalists associated with SAJA. I am very well connected with 500+ high powered contacts on LinkedIn including Jack Welch, John Byrne etc. I can truly spread the word on SAJA and increase its footprint and its impact. A lifetime member of SAJA, I've led the group as its president in 2012, organized the annual awards gala and helped raise funds by securing corporate sponsorships. I've served as an executive board member for five years, putting together and leading 'SAJA Comes to You' events throughout the country, mentoring students and organizing SAJA @Work events, including visits to newsrooms like Bloomberg and The Wall Street Journal. I've served on and organized panels, participated in resume review sessions and judged SAJA award submissions. Currently, I'm the faculty adviser for the SAJA student group at Columbia University's Graduate School of Journalism and help set up the group each year, conducting elections and helping organize panels and workshops with visiting editors and hiring managers. I am ready to rejoin the board to provide it with a sense of continuity and to contribute my efforts toward helping SAJA members, especially students. I believe in the mission of SAJA and hope to use my deep network of connections in the world of journalism to help all SAJA members. Let's work together to make SAJA even stronger. Thanks for your support.